Join Me At The Taste of WGBH! 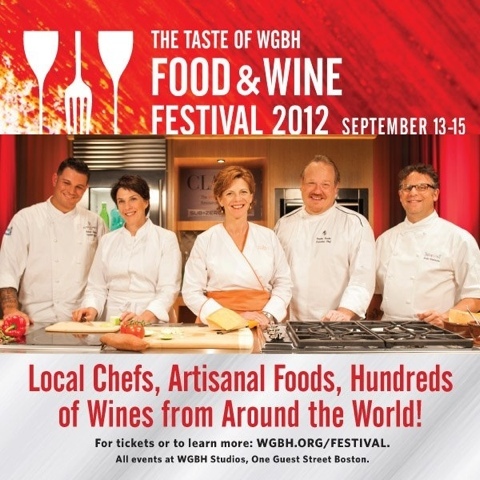 Join us and many more at the Taste Of WGBH Food & Wine Festival in a few weeks! Three-day food and wine festival including an Opening Gala Reception, Chef Demonstrations on the Sub-Zero & Wolf Celebrity Cooking Stage — presented by BostonChefs.com, Wine Auction, Educational Seminars, and The Artisan Taste. The festival will feature more than 100 wineries, local chefs, restaurants, and local artisanal foods, produce, and purveyors.